MERCED, CA (November, 16 2018) – Planning to buy a water sports boat next year? Why not do it now and make this Christmas one of legendary proportions? 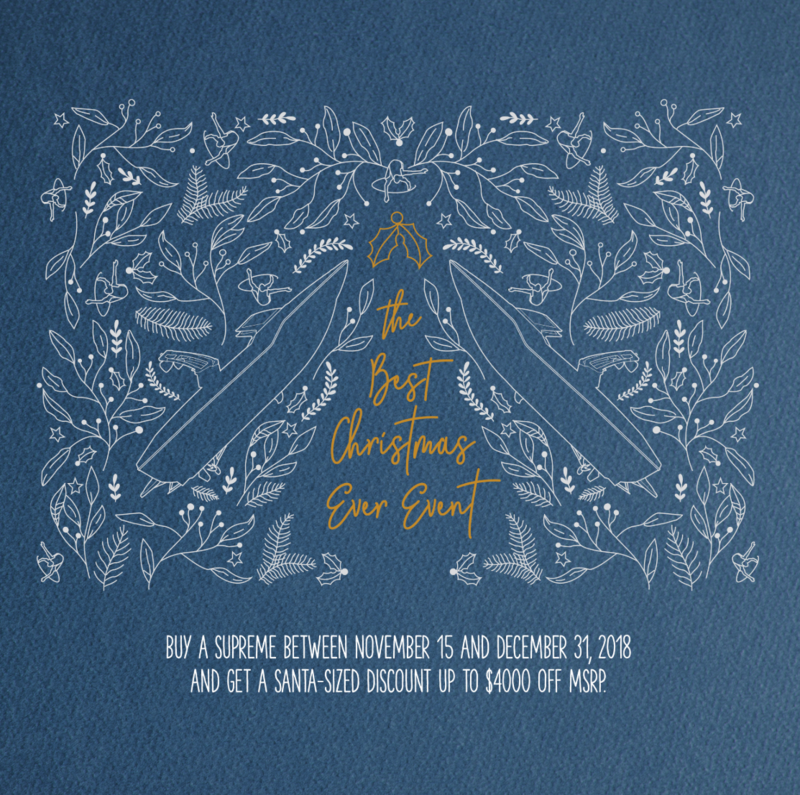 Take advantage of $4000 off of MSRP between November 15, 2018 and December 31, 2018 through the Supreme “Best Christmas Ever” Event! Christmas 2018 could be one that goes down in your family history as the “Best Ever”. Just like Supreme is the most valuable towboat (MVT), this Christmas will be the most valued in the hearts of you and your family with the “Best Christmas Ever” Event. This year there will be no need to battle Black Friday, agonize over last minute delivery dates on Amazon or make a mad dash out of town to shop. Supreme Boats and your local dealer can make this Christmas the “Best Ever”. Contact your nearest Supreme Boats Dealer or fill out the Christmas Wish List on our web site to choose your 2019 Supreme boat and make your “Best Christmas Ever” plans today.